South African born Nana Meriwether was crowned Miss USA in 2012, and is also a professional and Olympic-level volleyball player and philanthropist. Raised in the Washington, DC area, she attended the prestigious Sidwell Friends School and went on to attend Duke and then UCLA where she was an NCAA All-American and led the Women’s volleyball team to a Final Four. In 2007, the multi-talented Meriwether co-founded the Meriwether Foundation, an international nonprofit organization to improve health and empower communities in 5 southern African countries. This week, as she prepares for the organization’s charity cycle event, Nana gave us an inside look into the inspiration behind the Meriwether Foundation’s work and how you can get involved. You co-founded The Meriwether Foundation with your parents. Tell us more about them and how their achievements impact your philanthropic work. My parents are my biggest inspiration. My mother, Nomvimbi, was born and raised during apartheid in South Africa and had no opportunity growing up. She worked hard in the classroom and used education to help improve her situation. She became one of the first female black lawyers in her country. Thereafter, she earned a United Nations scholarship to study in the United States where she earned an MBA and she is also a CPA. She met my father while studying in Washington, DC. My father, Dr. Wilhelm D. Meriwether, was born in Tennessee, but grew up in South Carolina. Like my mother, my father had a tough upbringing based on the color of his skin. He persevered and became the first African American to be admitted and graduate from Duke University School of Medicine, integrating the prestigious university. My parents married and moved to South Africa in the early 1980s to serve one year of pro-bono medical and community work in a remote rural village near The Kruger National Park. My father worked in the local hospital and my mother immersed herself in the community, empowering women to start small businesses and agricultural projects. They planned to work for a year, but 8 years later they were still working in rural villages providing health services. By the end of their stay, my father and mother had helped over a half million refugees and natives. I was born during this time of service, so from birth I have been influenced to partake in humanitarian work. As a baby, my mother would strap me to her back as she helped out in the community. 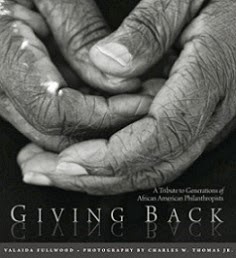 Their philanthropic influence stayed with me my entire life and in 2007 I was moved to co-found Meriwether Foundation. Meriwether Foundation is a 501 (c) (3) non profit organization that operates programs in health and education in 5 countries of Southern Africa: South Africa, Zambia, Zimbabwe, Mozambique and Malawi. The work we do today mirrors the work my parents did in the 1980s and all throughout my life. We have opened schools and operate health clinics. We have brought water and electricity for rural communities. Meriwether Foundation has also helped to establish organic agricultural programs in several rural and remote communities to help encourage better nutrition and health. We believe in the power of education and also train doctors, nurses, builders, carpenters, electricians and teachers. Our overall mission is to improve health and empower communities in order to break the cycle of poverty. The Foundation has three program areas, Curative and Preventative Health, Education and Nutrition. How do you decide which charitable projects to support? As an organization, we started out in health. My father is a doctor and it was important to him. When we hit the ground and established our first health clinic we realized there was need for other social services. As a result, we have expanded and we now provide health, academic, empowerment and agricultural services to rural and peri-urban communities in Southern Africa. One of our biggest projects for 2014 is building a health center in Zambia to serve 15 surrounding villages. It is near the only place in the world where 4 countries meet. In addition to the Meriwether Foundation, what other causes/organizations are you engaged in? Meriwether Foundation does a lot of work in HIV/AIDS treatment and education. It has inspired me to help support HIV/AIDS initiatives here in the States as well. Please share more about your upcoming cycling event and how readers can get involved with the Meriwether Foundation. There are several fun and creative ways to support and get involved with Meriwether Foundation! Meriwether Foundation frequently hosts events around New York City in order to fund raise and foster a new and unique sense of philanthropy through networking, being social and exploring this great city. On March 15, we are hosting a Charity Spin with Cyc Fitness at their new and modern downtown studio at David Barton Gym. You will be able to join Miss New York USA and Miss New Jersey USA for an exhilarating, 45 minute, beat based spin class all to help support our programs overseas in health and education. 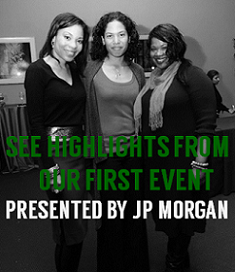 For more information, simply visit www.MeriwetherFoundation.org and click 'Events.' The proceeds will benefit the Meriwether Foundation’s Children’s Healthcare Centers in Zambia and South Africa. Meriwether Foundation launched a Donation Catalog last year for donors to give more creatively. Instead of giving in general, the Donation Catalog allows you to give to specific programs Meriwether Foundation runs in health, education and nutrition. For example, you can donate to an After School Program for $40, or help fund a Free Range Organic Poultry program for $50. We have an option for unrestricted donations as well if you want to give freely. We are a 501 (c) (3) organization and donations are tax deductible. For more information, please visit www.MeriwetherFoundationGifts.org. This summer and all throughout the year, Meriwether Foundation offers travel opportunities where volunteers, interns and supporters can see our programs first hand and help volunteer at one of our health, education, nutrition or empowerment programs in rural and remote communities of Southern Africa. We have hosted White House Fellows, doctors, churches, businessmen and women, students, and many other volunteers. We tailor the trip to include a bit of vacation as well so you will get to enjoy the beauty that Southern Africa has to offer through a safari or a trip to Victoria Falls or Cape Town for example. To find out more, contact Missions@MeriwetherFoundation.org.